Paul demonstrates how to shape his festive couronne. Mary presents her tips for achieving perfectly curved chocolate holly leaves. 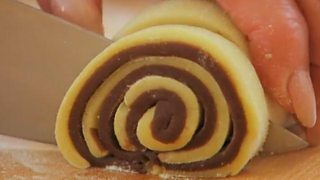 Paul shares his tips for achieving three differently shaped Swedish sweet rolls. Paul gives a step-by-step guide on how to plait a cherry and chocolate loaf. 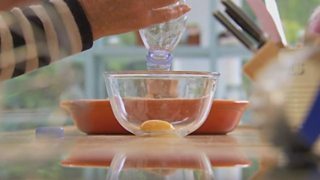 Mary uses a plastic bottle to show how to easily separate the yolks and whites of eggs. 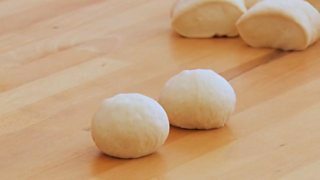 Paul demonstrates how to make three simple bread rolls. Mary makes a chocolate paste for her chocolate orange tart. Paul shows how you can jazz up your puff pastry. 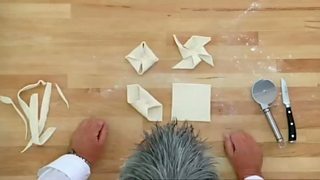 Mary shows us her method for rolling pastry. Using two mixtures Mary makes three different biscuits, including pinwheels and twists. Paul shows Mary how he shapes his cheese and walnut loaf for baking. 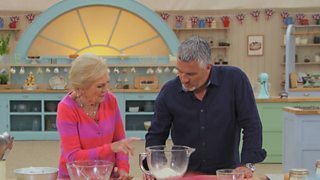 Mary shows us how to make cherry cake, the very first Technical Challenge of Series 5. 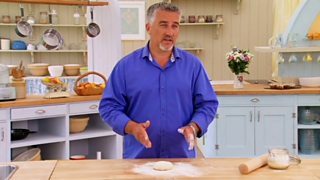 Paul shows you how to make a perfectly shaped fougasse, a type of white bread. Paul's lesson on making liquorice stripes for a liquorice and blackcurrant swiss roll. Mary shows Paul how to make chocolate ganache smooth and silky. 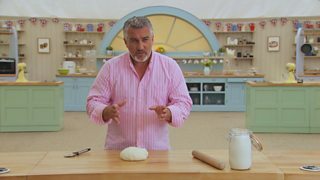 Paul Hollywood shows us his tips on how to shape pizza dough like a pro. 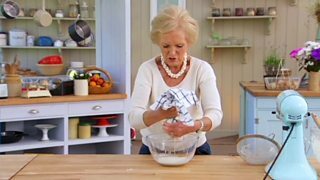 Mary Berry shows us her tips on how to make your own butter. 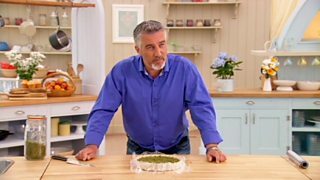 Paul Hollywood shows us how to blind bake pastry properly. 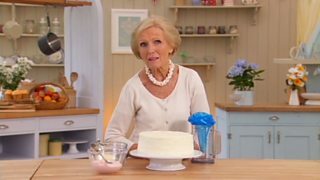 Mary Berry shows us a tip for impressive two-tone icing. Mary puts together her take on a traditional Easter Simnel cake. Paul shares his top tip for making Danish pastry shapes. 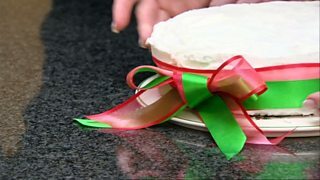 Mary makes royal icing and decorates her Christmas cake. Paul shares his top tip for kneading dough perfectly. 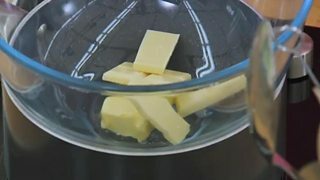 Mary shares her top tip to get cold butter the perfect temperature.